Many girls struggle with their self esteem as a result of social media. You wake up, roll over on your bed, grab your phone, and the first thing you do is check your social media notifications. You scroll through Instagram and like a few pics or check your Snapchat for any new messages. This is typical behavior for a lot of teens. Social media continues to play a bigger role in the lives of teenagers, and there certainly are beneficial aspects to it. 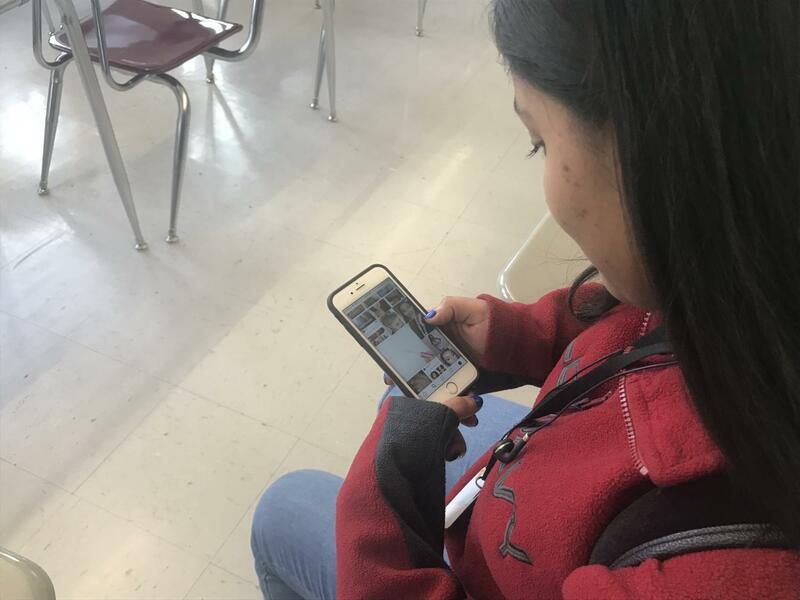 For example, students can stay informed, and connect with teenagers who go through similar experiences. Unfortunately, when it comes to social media, the negative effects outweigh the positive. It can adversely affect teenagers mentally, physically, and emotionally. A few of the most severe effects include bullying, low self- esteem, depression, suicide, less sleep, and bad performance in school. 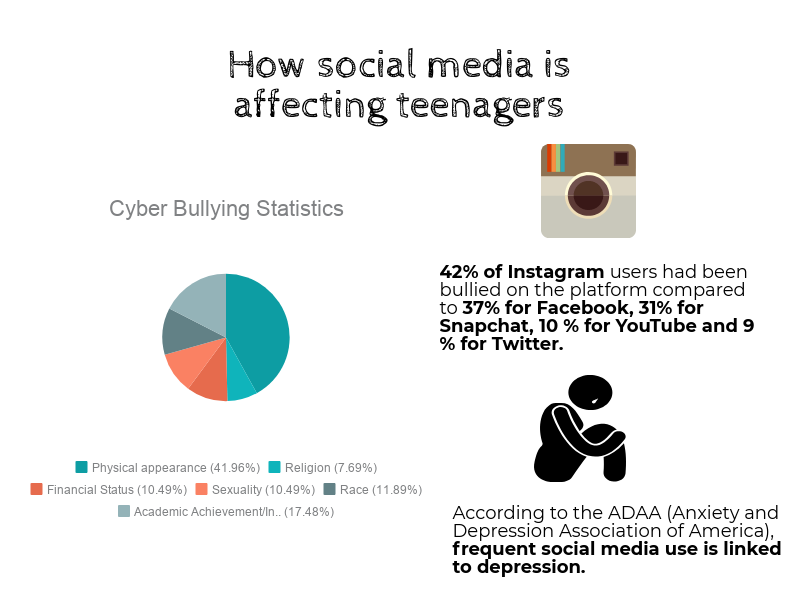 As social media is becoming more prevalent among teens, cyberbullying is increasing each day. Rude messages, threats, and rumors can spread to a much larger audience and be sent with just the tap of the fingers. 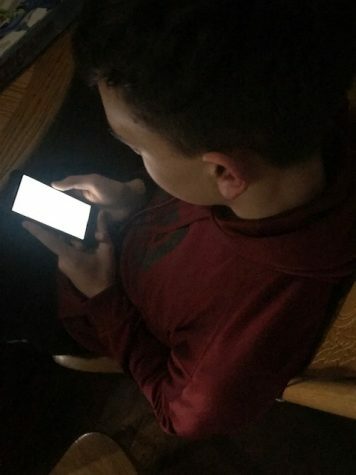 These forms of cyberbullying are affecting teenagers all over the world. 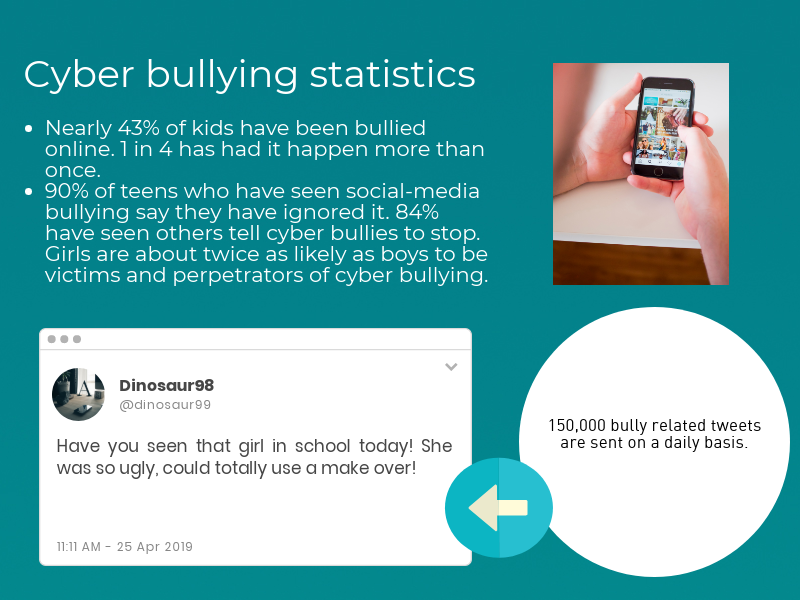 According to i-Safe, approximately 42% of kids have been bullied online. Cyberbullying can lead to depression, anxiety, and even suicide. A study in Britain had also found that at least half of suicides among kids and teens are related to cyberbullying. Imagine walking through the halls knowing that nasty rumors about you were being spread online, or that someone in school was texting or making rude comments about you. According to a Florida Atlantic University study, roughly 64% of high school students claimed that they had been cyber bullied. These students claimed that it negatively impacted their feeling of safety, as well as their ability to learn in school. One’s self-esteem is also majorly impacted as a result of social media. Many girls spend hours scrolling through social media posts of celebrities and models with “barbie doll” bodies. As a result, many girls have a negative self-image of their body and suffer from low self-esteem. There are many studies that prove that social media is linked to depression. Studies have shown that teenagers who spend the most time on social media have a 66% higher rate of depression compared to those who spend less time on these platforms. When young adults connect electronically rather than in person, they feel more socially disconnected and isolated. “Deep, meaningful connections are something all human beings need. 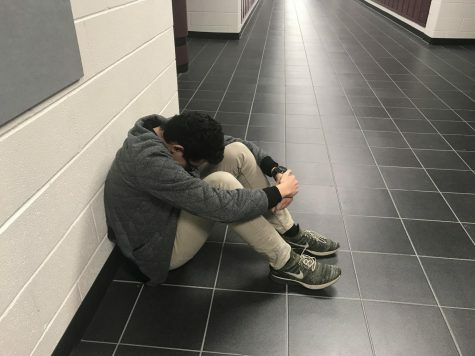 Sometimes, as a result of social media, teenagers are lacking those meaningful connections, leading to depression, said Dr. Vahanvaty. A teen’s sleep also can suffer as a result of social media. A new study by Canadian researchers discovered that teenagers who spent more than 1 hour per day on social media before sleeping suffered from more sleep issues than those who had limited use of those sites. In addition, more than 80% of teenagers in high school spend at least 1-2 hours per night on their devices for social media. Overall, social media is having a negative effect on teenagers all over the world. It’s affecting students mentally, physically, and emotionally. It remains to been how much more these platforms will continue affecting teens as social media is being used more and more every day?